Ordinary men and women blessed with extraordinary abilities who fight for what they believe in no matter the consequences aren't exclusive to superhero comics. 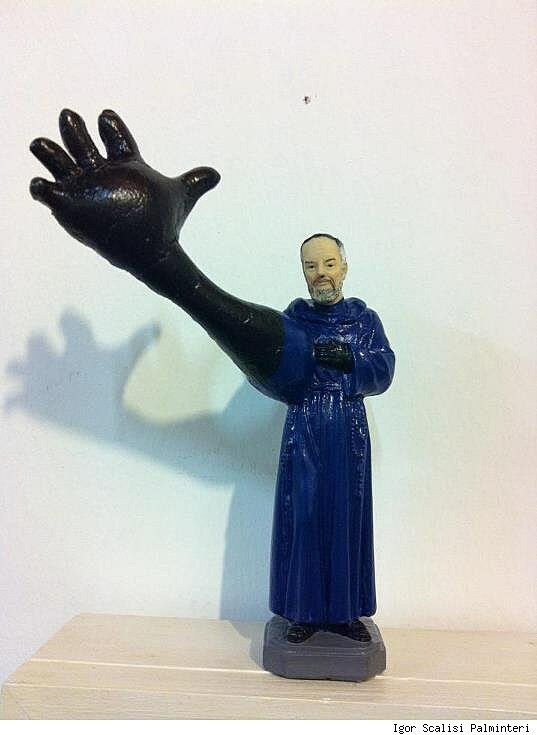 Catholic saints also possessed such powers as levitation, flight, extra-sensory perception and the ability to communicate with animals and used these skills to help those around them. 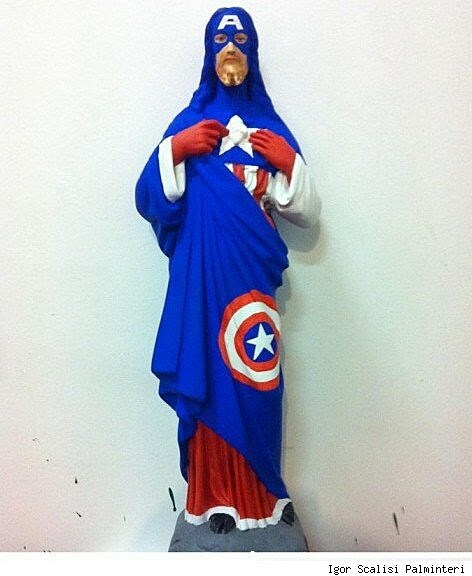 Igor Scalisi Palminteri makes this connection explicit in his (potentially offensive) sculptures for his show entitled Hagiographies, by slapping some familiar coats of paint on saint statues. 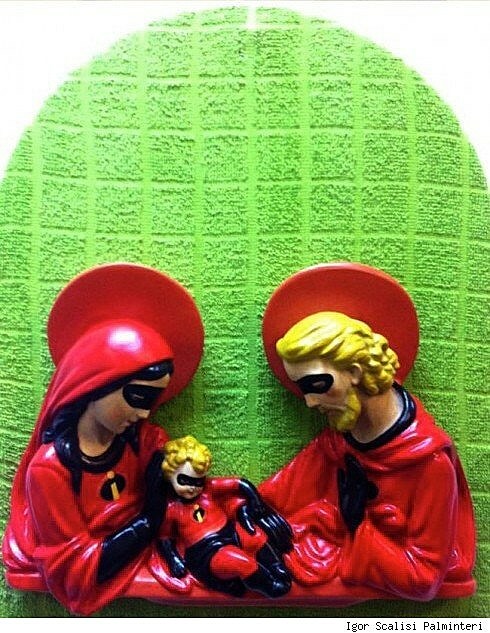 The Italian artist created his pieces by applying acrylic paint to sculptures of saints purchased at street fairs in Palermo, transforming the champions of Catholicism into the champions of modern comic books, movies and cartoons. "Do you think this 'A' stands for Nazareth?" Well, it doesn't. Nazareth begins with an 'N'. It stands for "America," which begins with an "A." 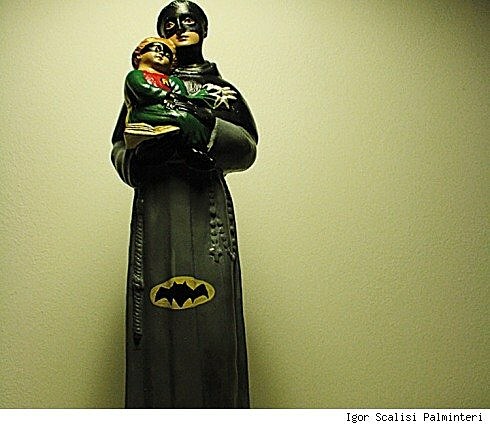 Saint Anthony is traditionally depicted not only holding the Christ Child, but also holding an open book. Perhaps, in this case, The Black Casebook. 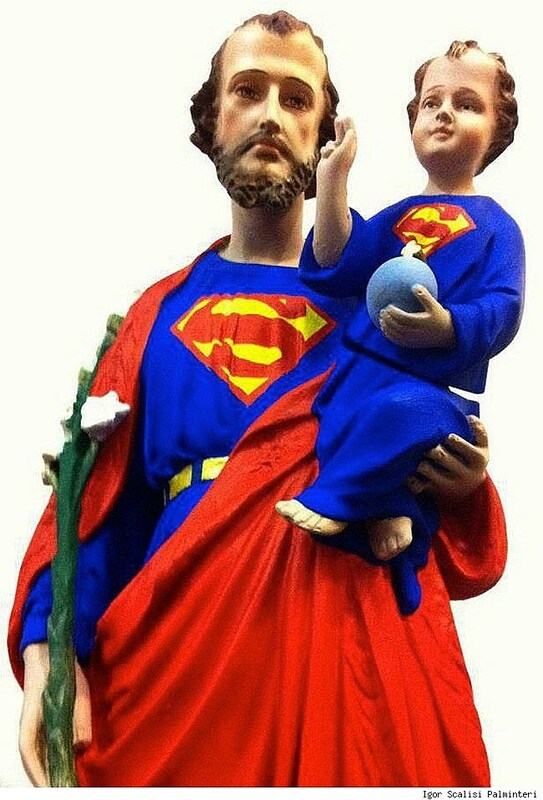 It's been a while since I attended Catholic school, but I'm pretty sure this is Saint Joseph and the Christ Child, now dressed like Superman and... Super-Baby? 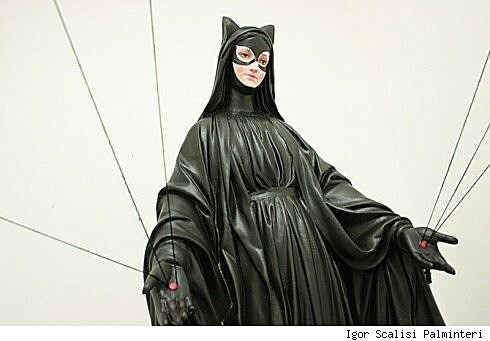 I think I prefer this to the "New 52" Superman costume redesign. 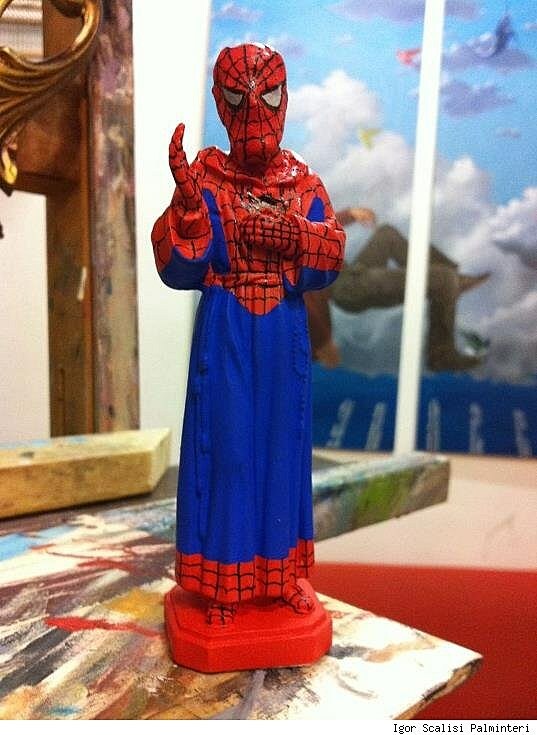 This version of Reed Richards is a heavily modified version of an unknown saint statue, as is this statue of St. Pio of Pietrelcina made to resemble Spider-Man. You can see a few more of Palminteri's super-saints here.